For some, poring over every detail of someone else’s wedding is a means of gathering practical inspiration—whether you’re soon to be wed or simply daydreaming. For others, it’s all about discovering the moments of sentimentality, like a special poem, flower, or accessory that speaks directly to a couple’s love story. But when we took a peek inside the beautiful Palm Springs nuptials of our own co-founder Hillary Kerr and her new husband, Jonathan Leahy, we found a bit of both. Of course, being a fashion girl at heart, Kerr thoughtfully tied together all the stylish elements of her special day, including her sleek and minimal welcome-party dress that made her feel like herself, a dreamy gown perfect for walking down the aisle and dancing up a storm, and a cool leather jacket with a sweet personalized touch. 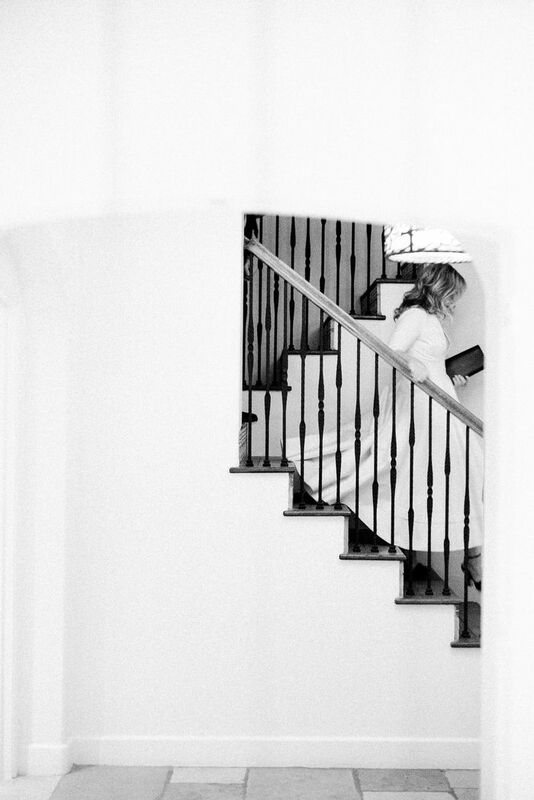 And in the photos ahead, she walked us through every detail that went into the memorable night. Engaged? Read on. Not even close? Keep scrolling, too. This inside look at Kerr and Leahy’s big day is nothing if not totally touching. Already obsessed with Kerr and Leahy's wedding day? Head over to MyDomaine for all the details on the decor, too.